The 2017 American Institute of Chemical Engineers (AIChE) Annual Meeting, held in Minneapolis, Minnesota this year from October 29 through November 3, had strong representation by both students and faculty members of the Albert Nerken School of Engineering. 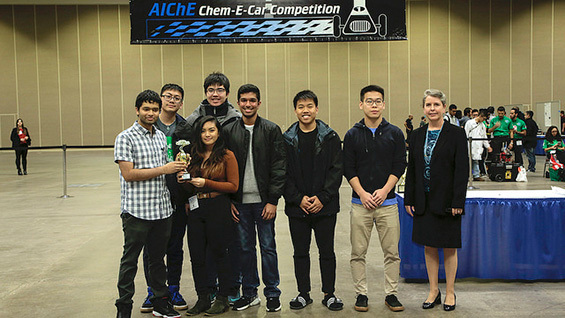 The Chem-E-Car team from Cooper placed fifth in the national inter-collegiate competition. Their car was "Lemon Aid" which had previously taken second place in the regionals. It's name references its use of citric acid as part of the chemical reaction that runs the car. Monica Abdallah ChE'17 and Ryan Smith ChE'17, both current masters degree candidates, participated in the first annual AIChE Beer Brewing Competition. Twenty teams were judged on both taste and poster design. Ben Davis, associate professor, was on the judging panel. The recipe was developed during a 2016 interdisciplinary course, "The Science and Art of Brewing." 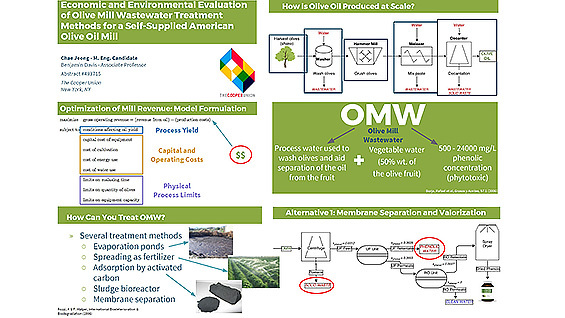 Chae Jeong ChE'16, a current Masters candidate, presented a paper (co-authored with Professor Davis) titled, "Economic and Environmental Evaluation of Olive Mill Wastewater Treatment Methods for a Self-Supplied American Olive Oil Mill" as part of the "Advances in Life Cycle Optimization for Process Development" session of the AIChE meeting. She also served as a panelist for the Graduate School Panel at the 2017 AIChE Annual Meeting during the Women Undergraduates Workshop. The purpose of the panel was to answer questions about graduate schools from undergraduate chemical engineering students. Professor Davis participated in a mentorship program for prospective chemical engineering faculty as a mentor for two candidates. The goal of the program is to provide advice and guidance to the candidates as they search for and transition into full-time faculty roles. Both he and Daniel Lepek, associate professor, are now the Vice-Chair and Second Vice-Chair (respectively) of the Education Division of AIChE. They will be responsible for developing the Education Division program for the 2018 Annual Meeting in Pittsburgh, Pennsilvania. Professor Lepek chaired a session, Jumpstart Your Teaching! : Small Teaching Ideas for Course Improvement. 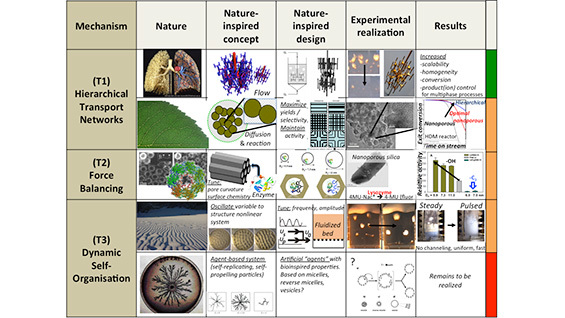 He also presented a poster on “Nature Inspired Chemical Engineering: Development of a New Course on an Emerging Topic.” This paper was presented as part of his on-going collaboration with the Centre for Nature Inspired Engineering at University College London in the United Kingdom.